The Fiber Optic Camera upgrade and Long Range Mount allow the EyeLink 1000 Plus camera to be used in MRI, MEG, EEG, and other eye tracking scenarios that require the optics to be up to 150 cm from the eye. The EyeLink 1000 Plus is the fastest, most precise and accurate eye-tracker for MRI and MEG. The same EyeLink 1000 Plus Camera can be used both as a relay for the fiber optic camera in MRI and MEG environments or in traditional eye-tracking laboratories (with a suitable mount). The Long Range components attach to desktop, tray-mount, screen mount or other custom mounting base. The EyeLink 1000 Plus Long Range components have low interference, non-ferromagnetic optimized design for MRI and MEG. All components are easily removed from scanner room when not in use. A simple “Point, Focus, Click” procedure between subjects ensures that scanning time is not wasted. Compatible with Philips Achieva, Siemens Prisma, Trio, Skyra, Verio, Allegra and Magnetom 7T systems, GE Signa and Discovery series, Bruker and other MRI manufacturers. Compatible with multiple head coils. Compatible with CTF, Elekta, 4D Yokohama and other MEG manufacturers, in upright and supine positions. 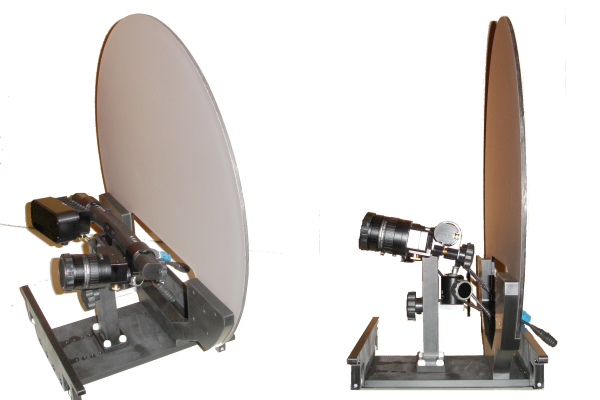 Our fMRI / MEG solutions require the EyeLink 1000 Plus Core System, Fiber Optic Camera Head and a Long Range Mount. 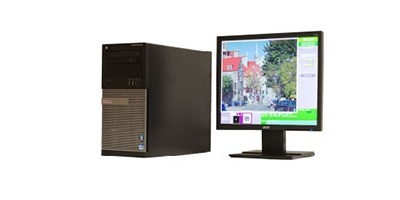 The Core System comprises the EyeLink 1000 Plus Camera and a Host PC. Easily track in multiple environments carrying just the camera between scanners or sites. The same EyeLink 1000 Plus camera operates in MRI, MEG and standard behavioral laboratory environments. Multiple fMRI / MEG synchronization solutions available. Extends the EyeLink 1000 Plus for use in fMRI and MEG environments. For use in MRI systems from 1.5T to 13T. 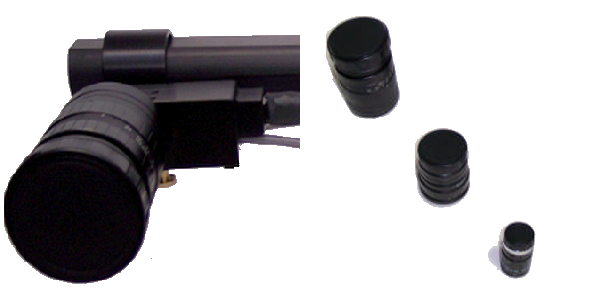 High-speed (up 2000 Hz monocular, 1000 Hz binocular), high-precision recording with 0.25° – 0.5° accuracy. 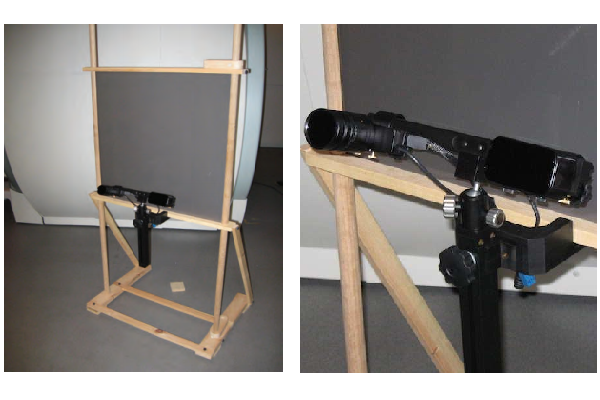 Mounts can position the eye tracker in or out of the bore, for tracking with LCD monitors and back-projected images with dozens of different head coils. Complete range of solutions available for Siemens, Philips and General Electric Scanners, from 1.5T to 13T. Compatible with EEG and other scanner peripherals. Unique infrared illuminator available for dark-adapted tracking. General purpose Long Range Mount. Allows lateral adjustment of the eye tracker without disrupting the visual display. Can be clamped to many user-supplied out-of-bore back-projection screens. Ready to be affixed to an optional stand. Rests in end of scanner bore supported by bed rails. Holds optional high-quality back projection screen. Compatible with out-of-bore projection screens or LCD displays. Screen-holder available for user-supplied screen. 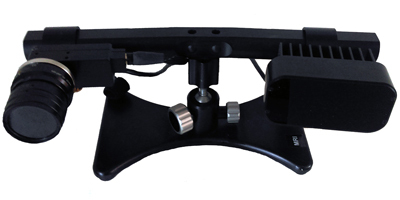 Optimally positions EyeLink 1000 Plus Fiber Optic Camera Head and Illuminator mounting bar. Tray Mounts with screens are available for the Philips Achieva, and Siemens Prisma, Trio, Verio and Skyra scanners. All EyeLink systems come with a lifetime of free technical support. 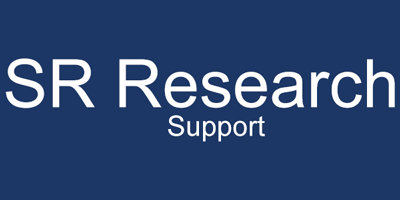 Support members include former faculty and Ph.D. graduates in Cognitive Neuroscience, Vision Science, Psycholinguistics and Experimental Psychology. We have expertise in all aspects of eye-tracking research and outstanding technical knowledge of EyeLink hardware, software, and integration. Onsite installation and training is highly recommended for MRI and MEG to ensure the system is functioning optimally in these highly variable environments. Onsite software training is tailored to individual research goals. You decide how large of an audience to include. Cost covers all travel expenses to your site. 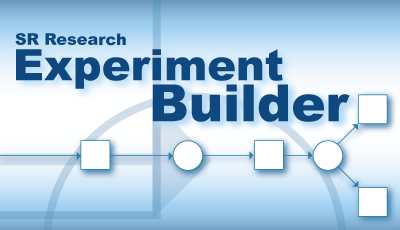 Sophisticated and intuitive graphical programming environment for creating computer-based psychology and neuroscience experiments. Runs under Windows and macOS (OSX). Hundreds of existing templates that can be easily modified (e.g., change blindness, smooth pursuit, pro-saccade task, Stroop task, etc.). 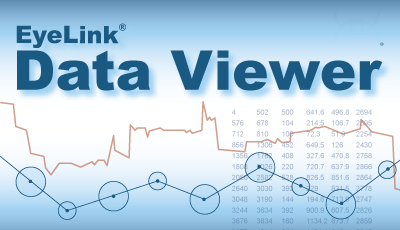 Powerful and intuitive software for viewing, filtering, and processing gaze data recorded with EyeLink eye trackers. Create static and dynamic interest areas, heatmaps, and output hundreds of dependent measures such as Dwell Time, Sacccade Onset, etc. 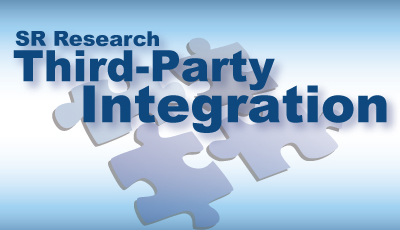 Highly integrated with SR Research Experiment Builder, E-Prime, Presentation and any custom programming method. Easily add eye tracking functionality to existing projects in E-Prime, Presentation, MATLAB and Psychtoolbox, and more. Sycnhronize eye movement recording with MRI / EEG / fNIRS / TMS and other recording equipment. Add eye tracking functionality to stimulus display programs written in Python, C, C#, and other programming languages.